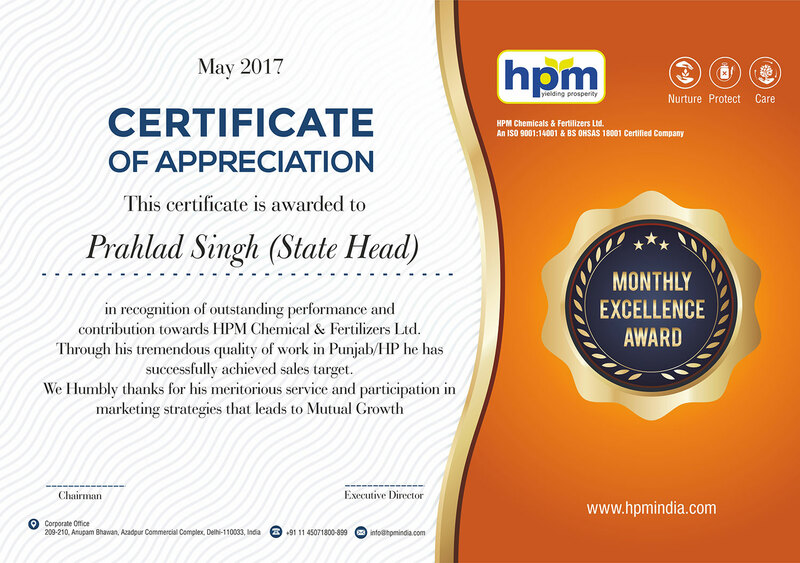 This confirmation is allowed to HPM associates in affirmation of outstanding performace and responsibility towards HPM manufactured and composts LTD. WE tamely an obligation of appreciation is all together for his commendable organization and interest in displaying approachs that prompts shared improvement. 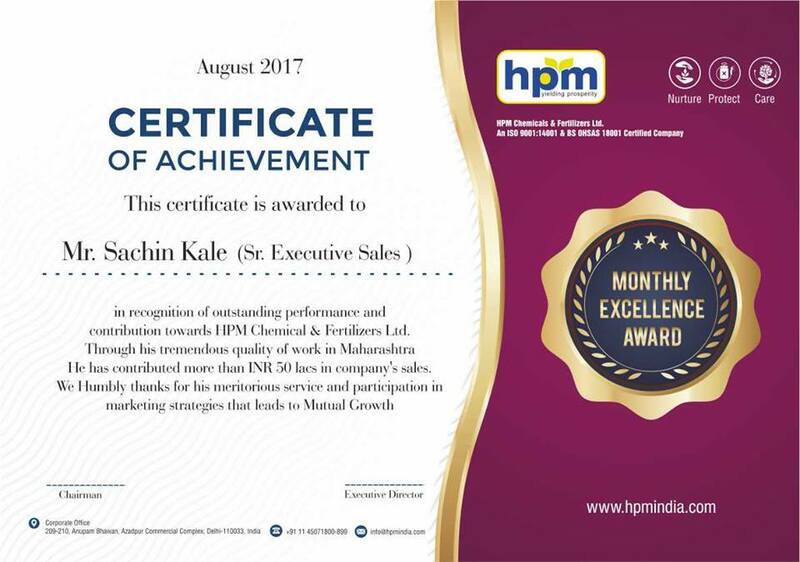 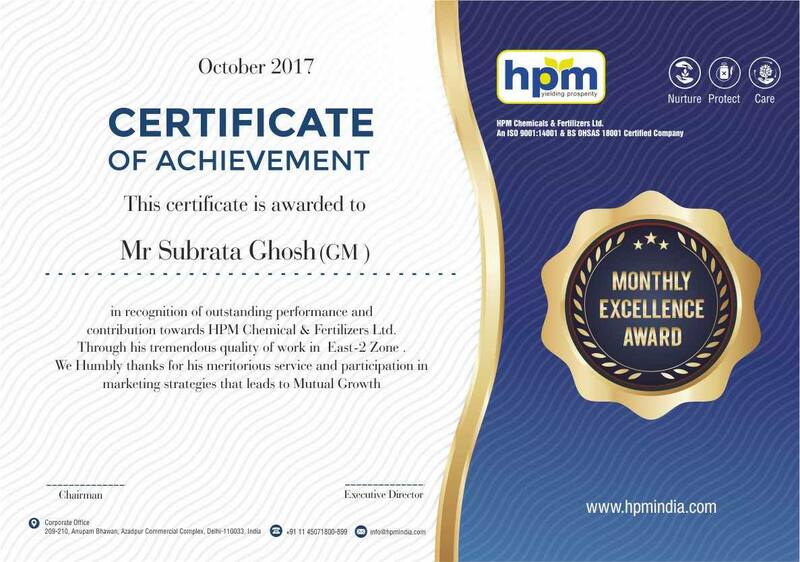 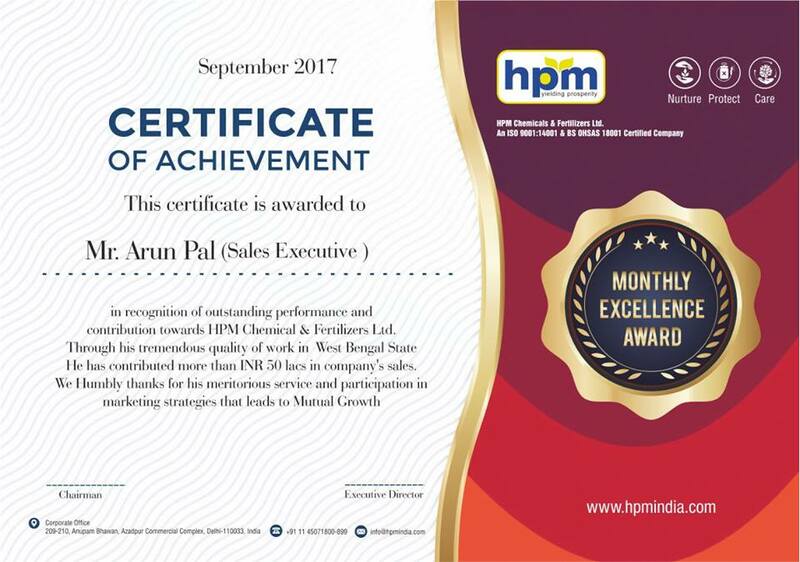 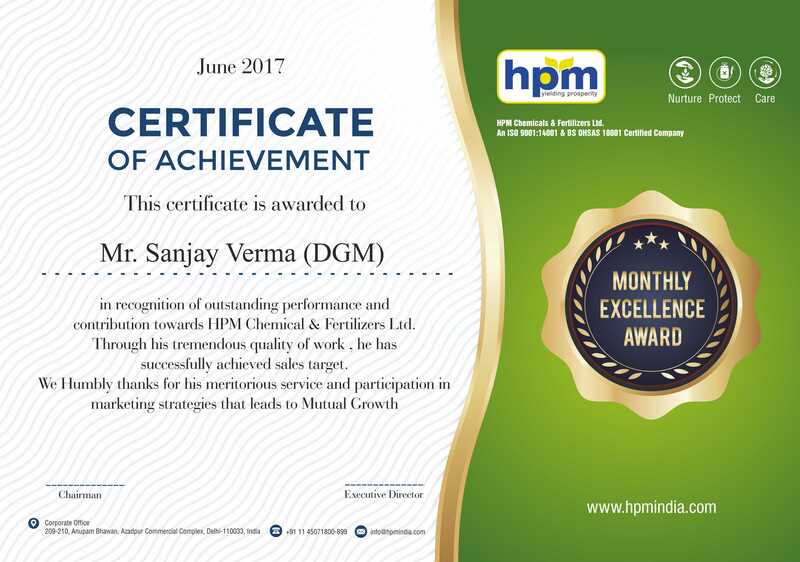 This certificate is awarded to HPM team members in recognition of outstanding performace and contribution towards HPM chemical and fertilizers LTD.
WE humbly thanks for his meritorious service and participation in marketing strategies that leads to mutual growth. 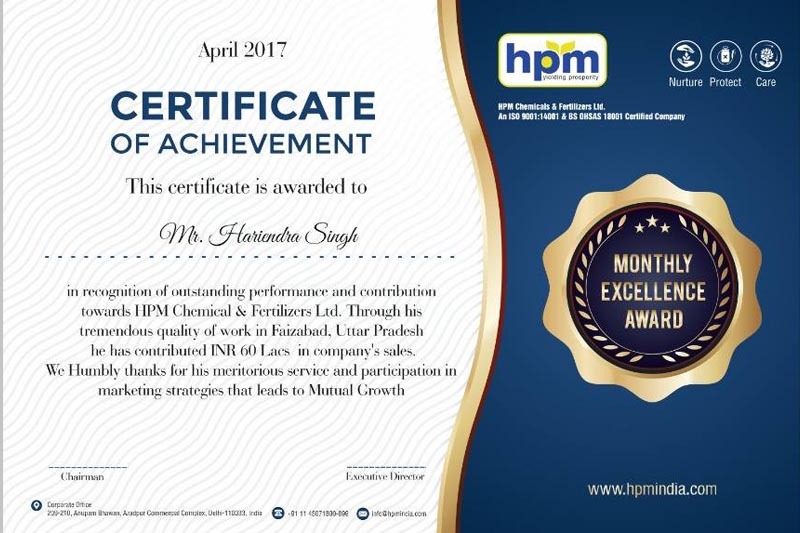 This authentication is granted to HPM colleagues in acknowledgment of exceptional performace and commitment towards HPM synthetic and composts LTD. WE submissively a debt of gratitude is in order for his worthy administration and investment in showcasing methodologies that prompts shared development. 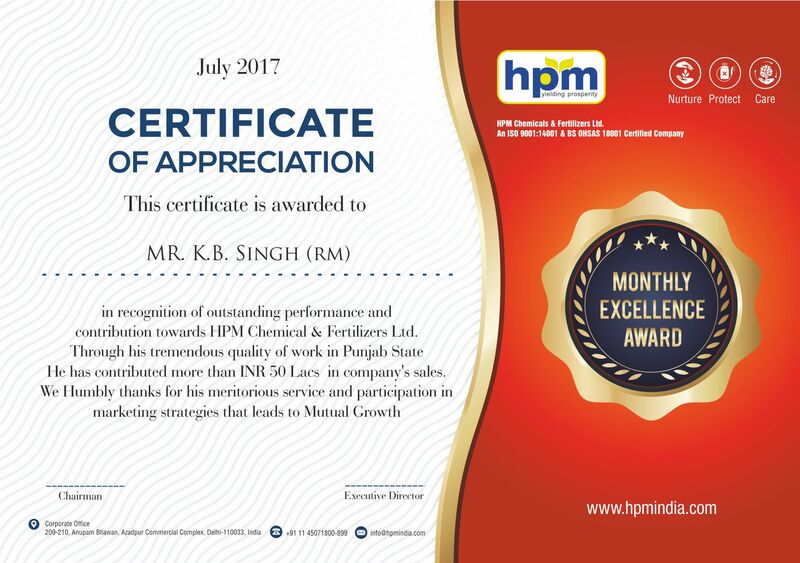 This confirmation is conceded to HPM associates in affirmation of outstanding performance and responsibility towards HPM manufactured and composts LTD. WE tamely an obligation of appreciation is all together for his commendable organization and interest in displaying procedures that prompts shared improvement.